No matter who you are, food is a constant need and a source of comfort. John Moeller understands this better than most. During his career as a White House chef, he prepared countless meals for many people, most frequently and most notably, the first families of three different administrations. Moeller worked in the White House from 1992 to 2005, serving President George H.W. Bush, President William Jefferson Clinton, and President George W. Bush, making him one of the longest-standing White House chefs in history. “Both the Bush and Clinton families enjoyed my chicken pot pie recipe. Comfort food is comfort food, no matter who’s eating it,” says Moeller, a native of Lancaster, Penn. 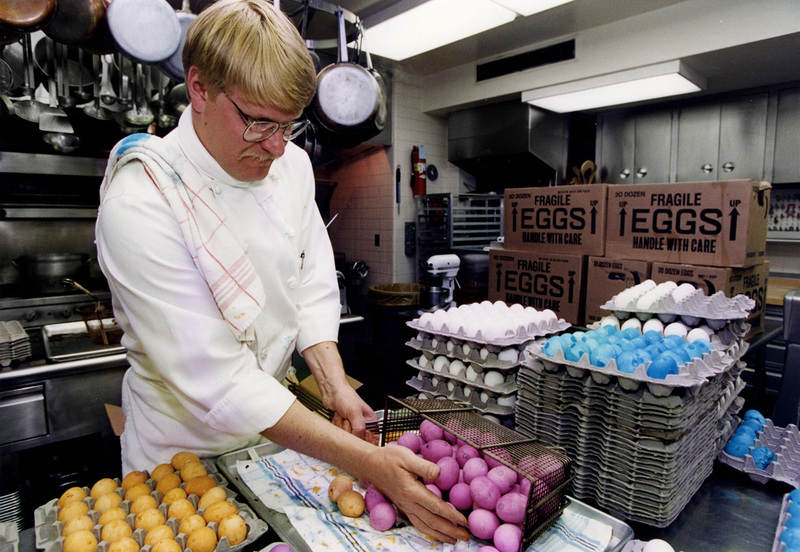 Moeller prepares for the annual White House Easter Egg Hunt. Now retired from serving at 1600 Pennsylvania Avenue, Moeller has cooked up a new calling: mentoring and training aspiring chefs in one of America’s most impoverished and dangerous communities. Moeller works with the City of Refuge, an Atlanta-based nonprofit working to transform the Vine City community – a historic neighborhood that was once home to Martin Luther King, Jr., and the subject of myriad revitalization efforts and philanthropy to break the cycle of poverty and crime. A leader in these efforts, City of Refuge offers local residents housing, health care, vocational training and educational programs. Most compelling to Moeller was the 180 Kitchen and its culinary arts program, which serves hungry locals three hot meals a day, while teaching residents the culinary skills necessary for finding jobs and cooking wholesome meals to feed themselves and others. “You can see the smiles on their faces, knowing they have shelter, food, and the possibility of learning a trade,” says Moeller. Moeller learned about City of Refuge from Walter Scheib, a friend and also former White House chef. 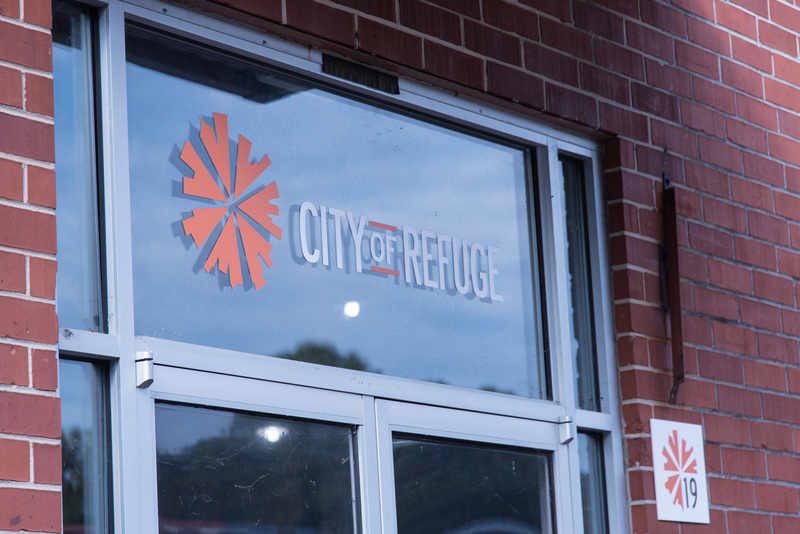 But it was the mission of City of Refuge -- to “transform lives and guide individuals into a place of financial independence and self-sustainability” – that resonated with him. Although he resides in his hometown of Lancaster, Penn., Moeller travels monthly to spend quality time coaching the students in the 180 Kitchen’s 12-week program, where he teaches the essentials and helps his students cater local events. The 180 Kitchen team then helps students find full-time, sustainable jobs in the culinary industry and continues mentorship during the transition. Moeller says his passion for cooking stems from a passion for people – filling them with food and a moment of rest – whether those people are in the west wing or the west side of Atlanta. “One of my greatest satisfactions as a chef if presenting a first class meal and seeing the enjoyment that it brings, and the goodwill and friendship it promotes, “ says Moeller. 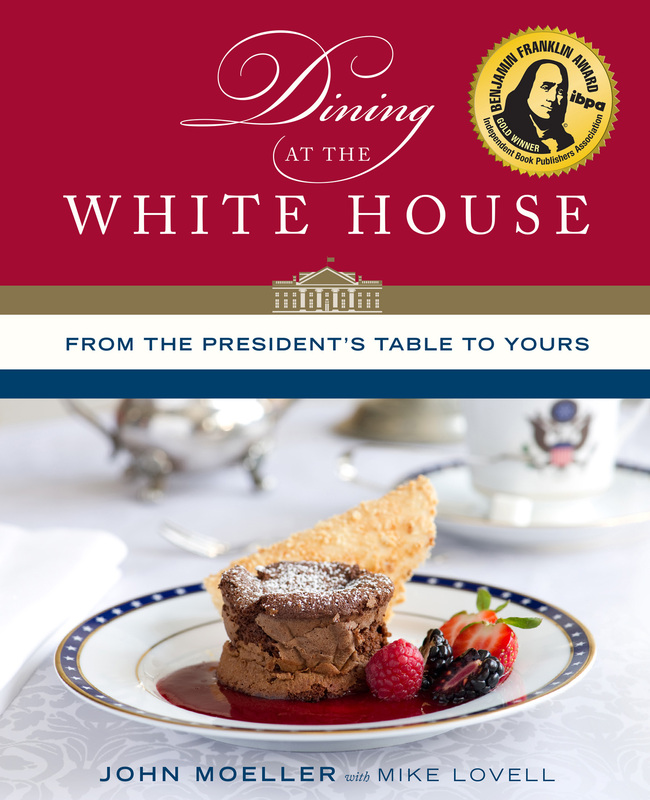 You can learn more about Moeller’ story and his favorite recipes, including this Warm Flourless Chocolate Torte, in his book, Dining at the White House: From the President’s Table to Yours. This surprisingly simple dessert from Chef John Moeller, former White House chef-turned-philanthropist, is sure to be a favorite in your kitchen.